Elena Anosova touches upon the problems of borders and identity in her practice. The participant of art-residence continued the study in her project “Beyond the Boundaries”. From more usual terms of confines between regions and cultures she studied in her previous projects she moved to the upsizing of the term “border”. Following these images, the artist created her work in two parts. 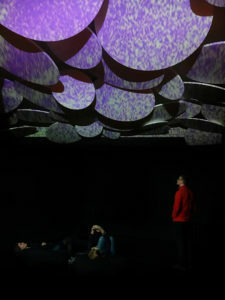 First of them is installed like inaccessible space on the ceiling of one of the showrooms of a museum where the show space was transformed into stylised inner space of a telescope, the walls and the ceiling are colored black. 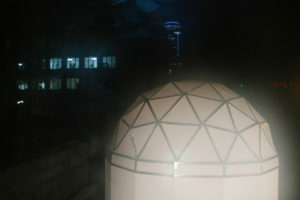 In the installation, Anosova used the data of spectrum analysis received from the international astrophysical instruments, provided to the artist by the research officers of the observatories. 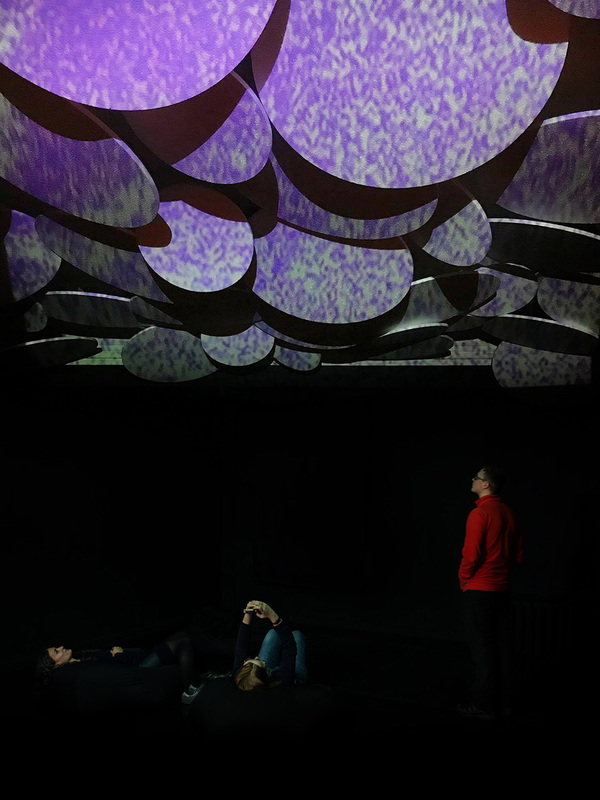 With the help of looped meditative video on the refractive circles, the spectators find themselves dipped into the entrails of a telescope and can watch the stars through the scientists’ eyes as special “space” music, created for this work by the composer Vadim Kolosov. Every image has a unique code and a corresponding description connected with a name of a constellation where the depicted object is located. 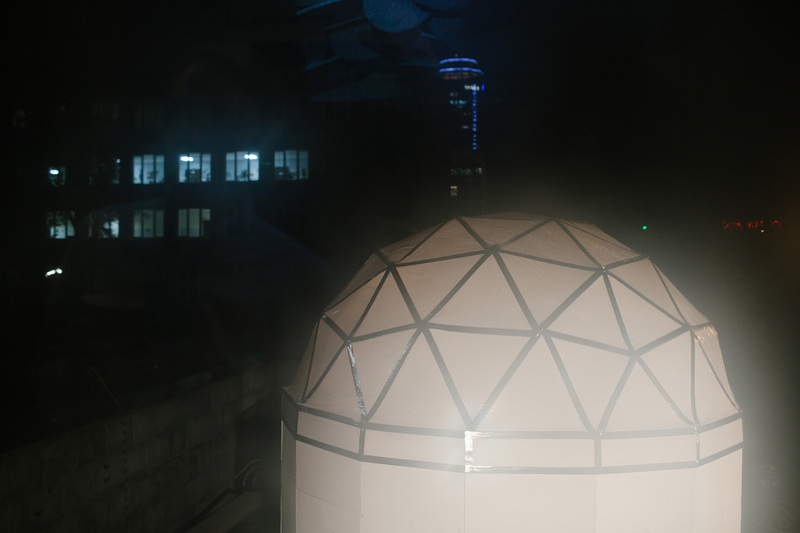 Scientists do not use such coordinates, but to understand measuring scales and set “a starting point” for the viewer, all the objects in the show were linked to the objects comprehensible by the viewer, for example, Orion constellation. 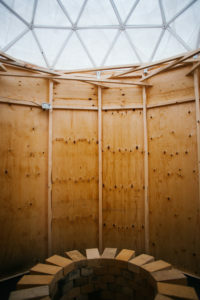 From the window of the showroom with the installation on the ceiling the second part of work can be seen/ It is represented by a stylised natural size astronomic pavilion, it is situated in the inner court of the museum. 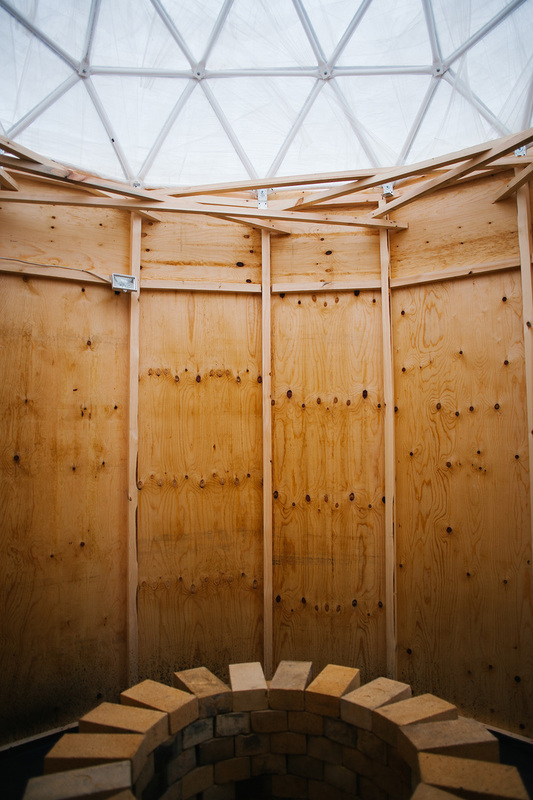 After dipping into the inaccessible space of the first part of the work the viewer walks down to the inner court and enters a pavilion expecting to see a telescope. 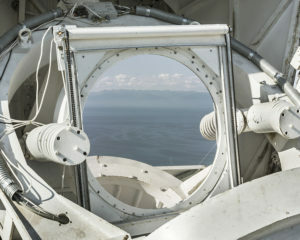 But in the pavilion there is an “intrascope” – mirrorlike well where the viewer sees himself as a borderline between macrocosm and microcosm, he sees himself and everything around as a consequence of a Big Bang. 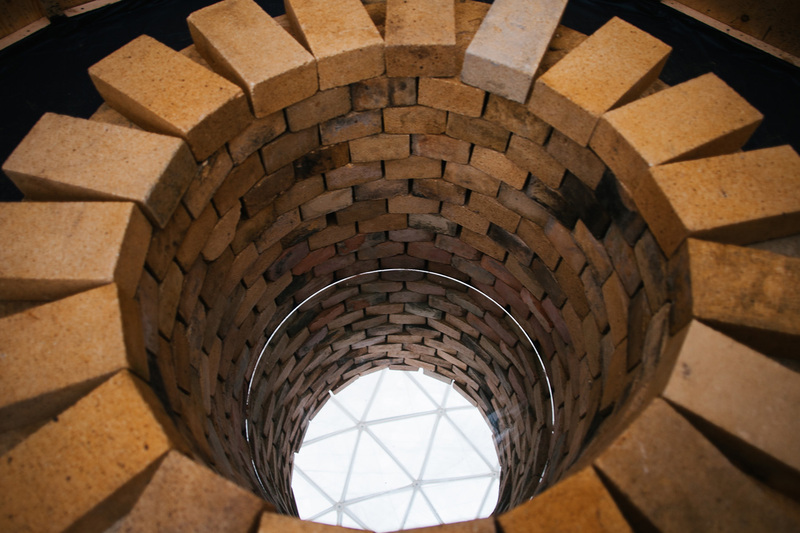 The form of a well was chosen as a metaphor of telescope tube, it also addresses childhood memories of a legend that “from the bottom of a well stars can be viewed even during the day”. 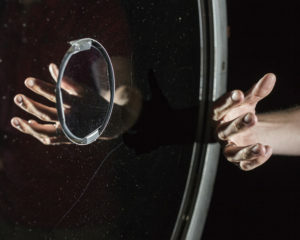 First, the viewers take pictures of the installation with circles on the ceiling and after that, they take the selfie in the mirror circle of a well. 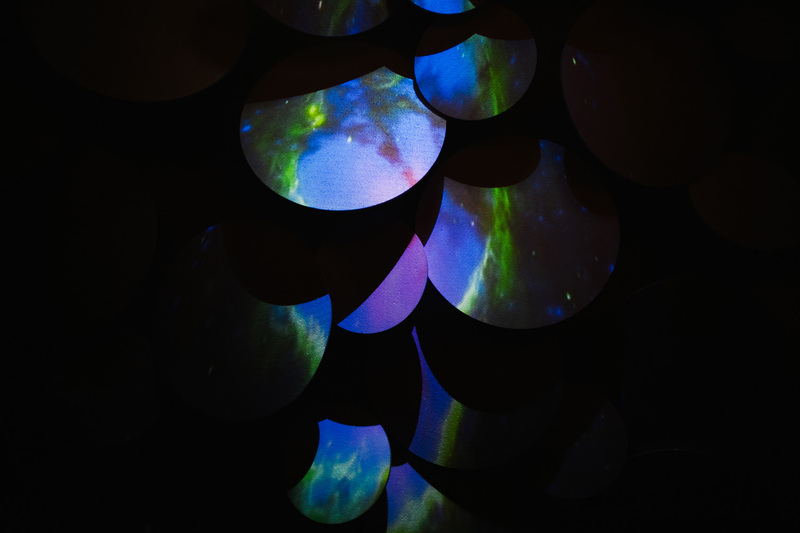 Eyes move up – from the watched specters of stellar bodies, visualized by the scientists, and down – to the mythology of the object in the astronomical pavilion – it returns us to ourselves as a borderline between inner and outer space.